Entertainment Unit with fluted columns. Tear drop moulding at cornice. Star inlay in the doors that fold flush to the sides. Doors may be modified to pocket doors. Interior of upper section features an articulating TV shelf, and a DVD pull out. 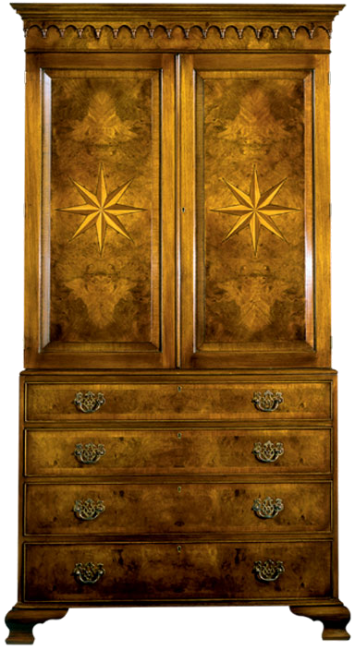 The lower section has four long drawers with antiqued solid brass hardware. Ogee bracket feet. Pictured in Mappa Burl.